Over the last 25 years, obesity rates among children and youth in Canada have nearly tripled. As a parent, you are the most important influence on your child's nutrition and will help her to maintain a healthy body weight. 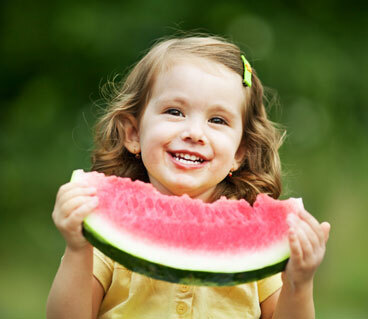 Be sure your child is eating well, as good nutrition fuels your toddler's growth and development. Contact a dietitian – Dial-a-Dietitian connects callers to a Registered Dietitian, a licensed health professional who has studied the science of nutrition. Service is free of charge. Nutrition Resources – The Winnipeg Regional Health Authority offers a number of nutrition resources to groups and organizations. The Importance of Family Mealtimes – Family life seems busy for all of us these days. Working parents, extracurricular activities, homework: sometimes it can seem impossible just to get everyone in one place! Although many of us might remember eating with our families at the dinner table when we were growing up, family mealtimes might seem tough to navigate these days. But, eating together as a family can offer many benefits for kids. Picky Eater – Toddlers often go through stages of refusing to eat certain foods or eating only a small number of specific foods.